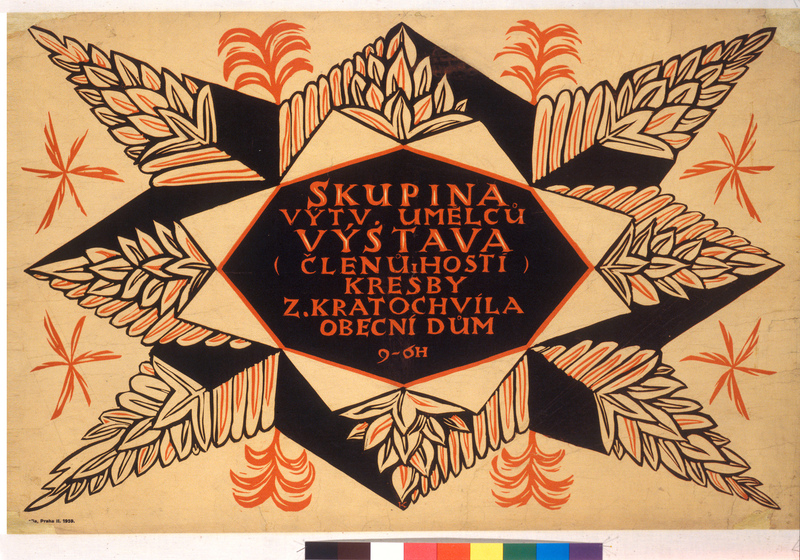 Czech Cubism developed in a unique fashion during the brief period of 1911–1914. 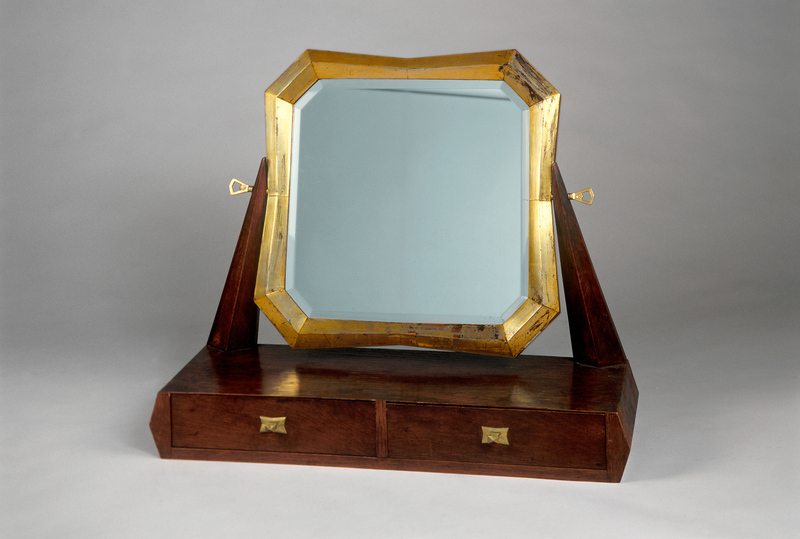 The scope in which the style influenced the applied arts and architecture in the Czech lands is unmatched in Europe. Before World War I, Prague was an important centre of avant-garde art and Czech artists, influenced above all by French art saw through the new style that was universally labelled “New Art”. In 1911, the Group of Fine Artists was founded, with Emil Filla as its chief protagonist. The Group’s core artists included the sculptor Otto Gutfreund, author and painter Josef Čapek, painters Vincenc Beneš and Antonín Procházka, architects and designers Pavel Janák, Josef Gočár, Vlastislav Hofman, Josef Chochol, art theoretician Václav Vilém Štech, and many others. However, their first collective exhibition housed at the Municipal House in Prague in 1912 provoked a sharp critical response. The Group’s second exhibition held in autumn of that same year was the peak of its joint activities. Works by Czech artists were exhibited alongside examples of contemporary French and German painting in what was a visually impressive installation designed by the architect Josef Gočár. Shortly afterwards, differences of opinion gained ground within the Group, which led to its disbandment in 1914. The Group‘s following Prague exhibition featured the Cubists‘ sources of inspiration, alongside works from abroad, folk and exotic art, and examples of 15th–17th-century artworks. Czech Cubist artists exhibited repeatedly in other countries, as well; most importantly, at the Werkbund Exhibition in Cologne, where an interior installation was presented, produced by the Prague Art Workshops, with furniture designed by Josef Gočár and accessories by František Kysela. 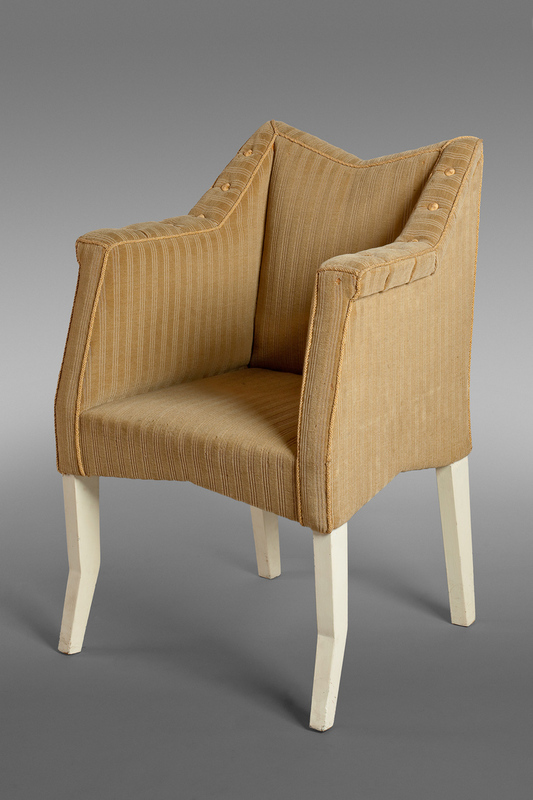 Designers of Cubist furniture regarded it as “a serious art of substantial content”, as was stated in the manifesto issued during the establishment of the Prague Art Workshops (PUD), a company founded by the architects Pavel Janák and Josef Gočár. 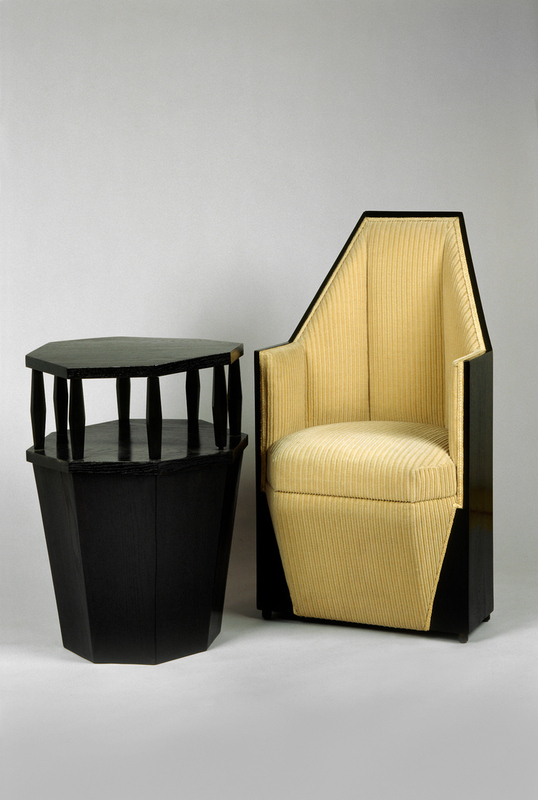 Cubist furniture was initially „commissioned“ by the designers themselves and their friends from the artistic and intellectual circles. Only seldom did the oportunity arise for a holistic approach to architectural projects that would include interior decoration. 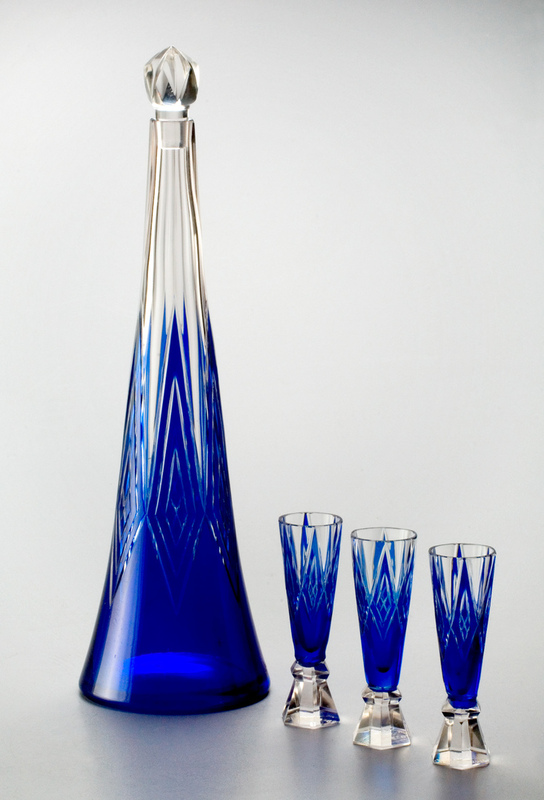 While Cubist morphology became ubiquitous in pottery and metalware as it was relatively easy to work, glass provided fler possibilities for the sharp-angled forms. In 1908, modelled after the Wiener Werkstätte, the art studio Artěl was established at the behest of Václav Vilém Štech, with the purpose of cultivating craftsmanship and good taste in everyday life. 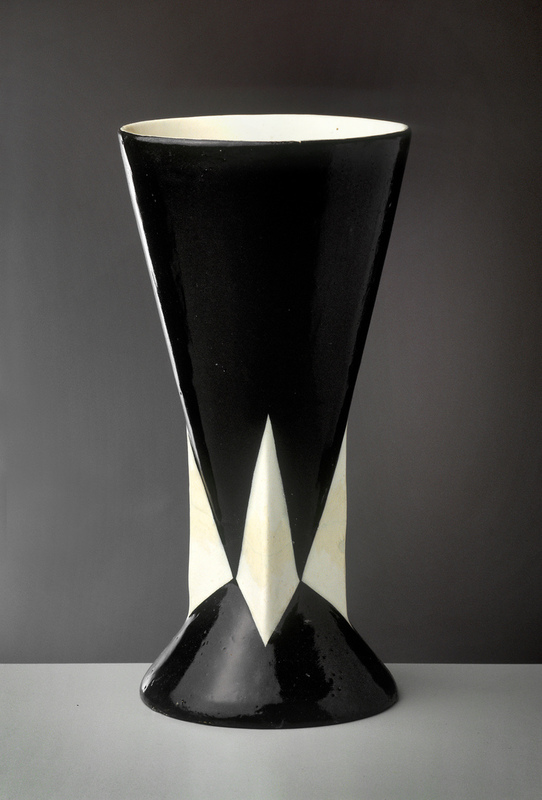 Cubist-style ceramics became popular merchandise and was an important sales article for Artěl. Cubist textile manufacture was a marginal affair and is known today only from reproductions of a few household fabrics. Architecture ranks among the most highly praised fields of Cubist pursuits and in the European context, the way it thrived in the Czech lands is unparalleled. Shortly efore the war, the Cubist visual vocabulary in architecture was also embraced outside the Group of Fine Artists, and in an unexpectedly radical form at that. This is well apparent in Bedřich Feuerstein’s architectural plans for the memorial to the Czech politician F. L. Rieger at Kozákov and the architectural competition designs for the monument commemorating the Hussite military commander Jan Žižka on Vítkov Hill in Prague. However, the majority of the most daring and radical designs remained only on paper. Pavel Janák, the leading theoretician of Czech Cubist architecture, executed the largest number of buildings in this vein. However, these were almost exclusively architectural commissions for private residential buildings outside Prague. The first implementation of Cubist architecture – the department store called U Černé Matky Boží (At the Black Madonna) – was designed by the then 31-year-old Josef Gočár. Vlastislav Hofman, an inventive and highly individual architect, caught public attention in 1912 with his audacious adaptations of variol structural elements in the Prague-Ďáblice cemetery. Differences in the views promulgated by the protagonists of Czech Cubism gradually intensified, resulting in the Group’s disbandment that was accelerated by the outbreak of the First World War. Even though the Cubist period was short-lived, it influenced Czech art for a long time to come. Orthodox Cubist forms were transposed into Cubo-Expressionism, a distinctive synthesis of Cubism and Expressionism that developed most eloquently in graphic design, poster art and book design. A new style known as Rondo-Cubism evolved in architecture and design, distinguished by the use of rounded forms, that characterized post-war decorativism. 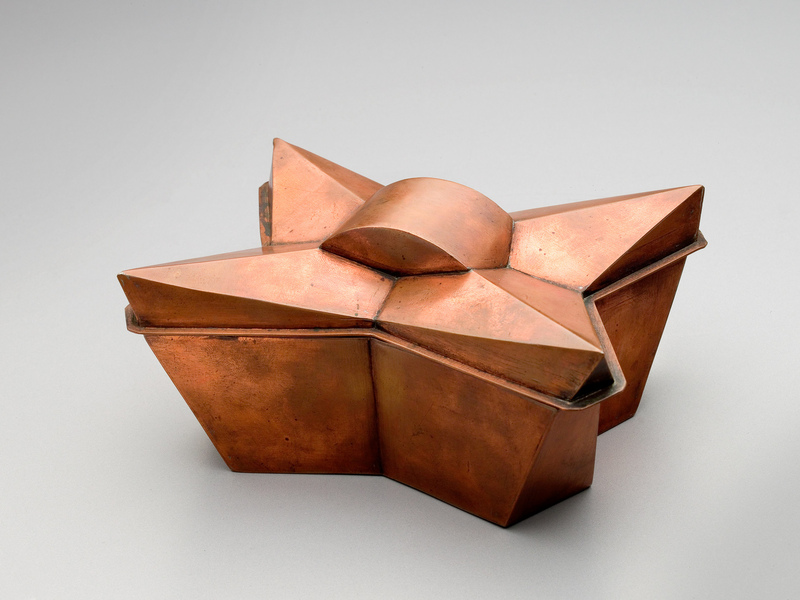 This form of Cubism determined the visual idiom of the national style – an official, ideologically endorsed trend in the decorative arts and architecture that served as a declaration of the newly-founded Czechoslovak Republic’s distinctive artistic identity. Czech painter, graphic artist, art theoretician, and the author of the word “robot” used by his brother Karel Čapek in his play R.U.R. Josef Čapek studied painting and drawing at the School of Applied Arts in Prague. In 1910–1911, he lived in Paris, together with the writer Karel Čapek, his brother. He was a co-founder of the Group of Fine Artists and editor-in-chief of its journal Umělecký měsíčník. Later, he joined the Mánes Association of Fine Artists and, in 1918, co-founded the Tvrdošíjní (The Stubborn Ones) artists’ group. He produced visually expressive and, in the context of Cubist art, unique paintings, and designed Cubist-style book covers and other graphic works. Czech architekt and designer. He studied architecture at the Prague Polytechnic and the Academy of Fine Arts in Vienna under Otto Wagner. He was an accomplished exponent of Cubism in the Czech lands, a member of the Mánes Association of Fine Artists and the Group of Fine Artists (1911–1912). He is the acclaimed designer of three Cubist buildings at the foot of Vyšehrad Hill (the residential house on Neklanova Street, the Kovařovic Villa and the triple house on Rašín Embankment). 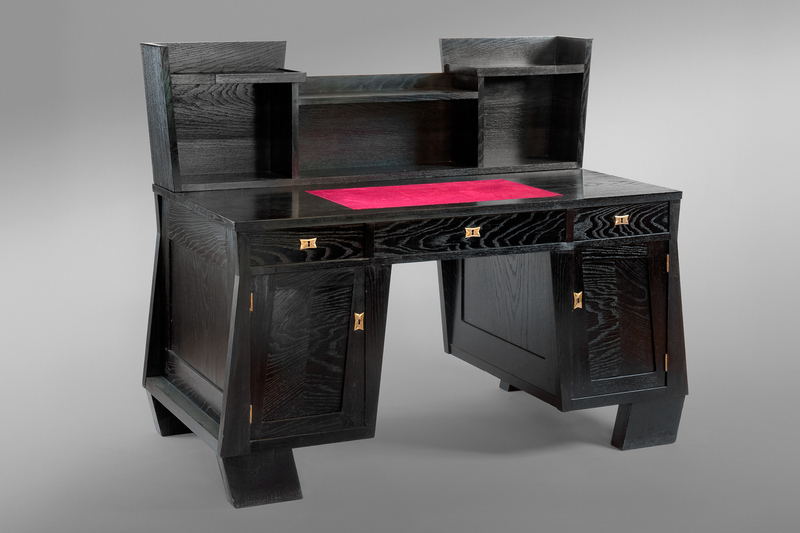 He designed a set of furniture for the English Club’s interiors in Prague’s Municipal House. Cubism was but a brief episode in Chochol’s oeuvre; after 1914, he embraced the aesthetic principles of the international Constructivist movement. Czech painter, sculptor, editor and art theoretician. He studied at the Academy of Fine Arts in Prague, but left the school after three years of study due to its exceedingly conventional approach to art. He co-founded the Osma (The Eight) artists’ group and co-edited the Volné směry art journal. In 1914, he visited Paris, together with Otto Gutfreund. With Bohumil Kubišta and Antonín Procházka, he was one of the first Czech protagonists of Cubism. Czech architect, designer and university professor. He studied at the School of Applied Arts in Prague under the architekt Jan Kotěra, working in his studio until 1908. In 1912, together with Pavel Janák, Josef Chochol and Odolen Grégr, he founded the Prague Art Workshops. He designed the first Cubist edifice in Prague – the department store called At the Black Madonna – and various other buildings (e.g. a sanatorium in Bohdaneč, the Czechoslovak Legions Bank on Prague’s Na poříčí Street). Czech sculptor. He studied at the School of Applied Arts in Prague. In 1909, he went to Paris and enrolled in E. A. Bourdelle’s sculpture class at the Académie de la Grande Chaumière. He co-founded the Group of Fine Artists and was a key figure of Czech Cubism. He created the iconic Cubist sculpture Anxiety and other works characterized by angular forms, as well as a powerful dynamism and expressivity. Some of his sculptural work was employed in architecture, e.g. on Hlávka Bridge (1912) and on the main façade of the Czechoslovak Legions Bank in Prague (a sandstone frieze “The Return of the Legions”). In 1914, Guttfreund left for Paris, where he met Picasso, Gris and Apollinaire. After the outbreak of World War I, he joined the foreign legion, returning to Czechoslovakia in 1920. Czech architect, designer, painter, graphic artist, stage designer, art theoretician. He studied architecture at the Prague Polytechnic. He was a member of the Mánes Association of Fine Artists; in 1911–1912, he was a member of the Group of Fine Artists and one of the key figures of the Artěl cooperative. 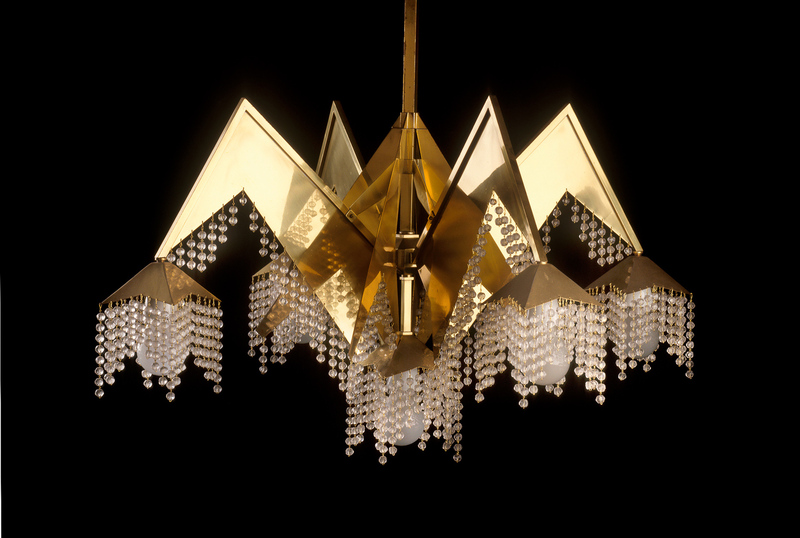 He is known for his remarkable Cubist furniture sets, Cubist architectural realizations (e.g. the Ďáblice cemetery) and city development projects (reconstruction of the Vyšehrad citadel and the city square below the Emaus Monastery in Prague – neither was realized). 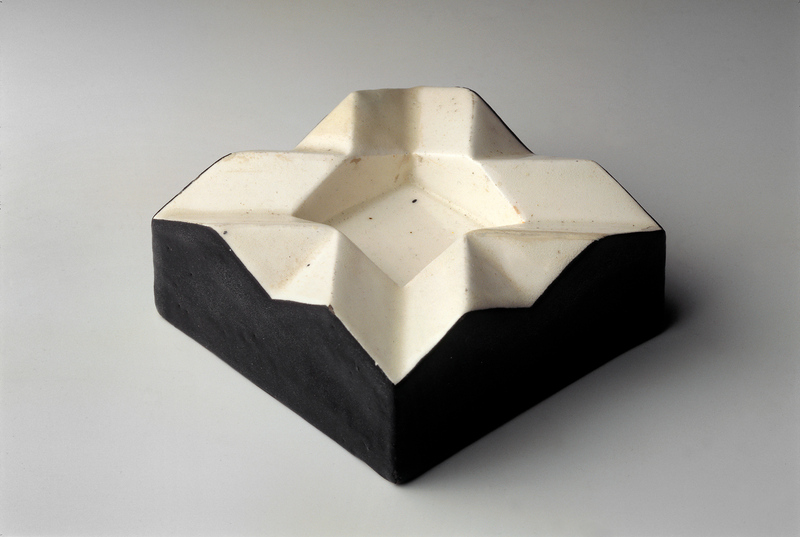 He also designed ceramic objects, graphic works, book covers and stage sets. His oeuvre is distinguished by experimentation and an unmistakable visual intensity. Czech architect, designer, art theoretician. After completing his architecture studies at the Prague Polytechnic he studied at the Academy of Fine Arts in Vienna under Otto Wagner. In 1908–1909, he was employed in the studio of the architect Jan Kotěra. He was a member of the Mánes Association of Fine Artists and stood at the inception of the Artěl cooperative, Group of Fine Artists, Prague Art Workshops and the Union of Czech Artwork. He authored major programmatic treatises on Cubism and radical architectural studies, and designed architectural projects, interiors, furniture and ceramics. In furniture production, he tested the possibilities of structure modification that bordered on the very limits of constructional stability, workability and functionality. Czech art historian, art theoretician, a prominent art collector. He studied landscape painting at the Academy of Fine Arts under, history at the Charles University and the University of Vienna. He made repeated visits to Paris; in 1911, he began purchasing works of Pablo Picasso, Georges Braque and André Derain. He was the foremost Czech proponent of Cubism and supporter of artists associated with the Group of Fine Artists. For many years, he headed the Picture Gallery of the Society of Patriotic Friends of the Arts (the precursor of the National Gallery in Prague); one year before his death, he bequeathed his unique collection of Cubist art to the Picture Gallery. Czech painter, art theoretician. He studied painting at the School of Applied Arts in Prague. In 1909–1910, he resided in Paris. Together with Emil Filla and Antonín Procházka, he was one of the first Czech protagonists of Cubism. He was a member of the Osma artists’ group and Die Brücke – an association of German painters. At first, his output was strongly influenced by Expressionism and the work of Edvard Munch. Later on, after acquainting himself with Pablo Picasso’s oeuvre, he explored issues of Cubist formalism, which he combined with Symbolist art in a highly distinctive manner. Compared to most Czech Cubist painters, he had a greater concern with content and the spiritual aspects of art, and had a serious interest in colour composition. Czech art historian and art theoretician He studied art history at the Faculty of Arts of Charles University in Prague. He was a member of the Mánes Association of Fine Artists and co-founded the Group of Fine Artists. In 1914, he Publisher the treatise “Čechische Bestrebungen um ein modernes Interieur” (Czech Aspirations for a Modern Interior), which accompanied the Czech Cubist exhibition representing the Prague Art Workshops at the Werkbund Exhibition in Cologne. After 1916, he was actively involved in Czech national art. He authored publications devoted to modern Czech and foreign art. He was a professor at the School of Applied Arts and the Academy of Fine Arts in Prague.